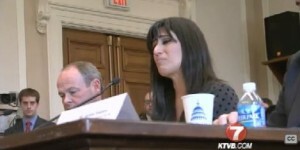 Washington, D.C. — The wife of an American pastor that has been sentenced to eight years in an Iranian prison for planting house churches in the country delivered an emotional plea for help during a Congressional hearing on Friday. Negmeh Abedini told the Tom Lantos Human Rights Commission, which was holding a hearing on religious persecution in Iran, that it has been very difficult for her to explain to their two children what has happened to their father. 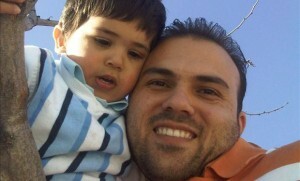 As previously reported, 32-year-old Saeed Abedini, who resides in Idaho with his wife and children, was taken into custody last September while visiting his homeland of Iran as he had returned to spend time with his parents and to continue his charity work of building an orphanage. He has taken a number of trips to Iran since moving to America in 2005. 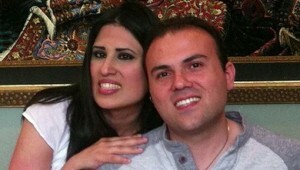 According to his wife, Abedini was apprehended just before he was about to board a plane to return to the states. He had taken a brief excursion to another country, and was stopped at the Turkey-Iran border upon his re-entry. The Iranian Revolutionary Guard seized Abedini’s passport, subjected him to interrogation and placed him on house arrest for several weeks. On September 26th, officials arrested Abedini at his parents’ house and booked him at the notorious Evin prison, which is known for its brutal conditions. In January, he was sentenced to eight years in prison for allegedly threatening the national security of Iran by planting house churches, and for attempting to turn youth in the nation away from Islam and toward Christianity. The charges stem from activities that are approximately a decade old, when Abedini was involved in establishing scores of Christian churches across the country. It is estimated that he had a role in founding approximately 100 house churches, which yielded 2,000 members combined. Abedini wrote to his family recently from prison, outlining that he was under “horrific pressure” to deny his faith in Christ. “[It is] so very difficult that my eyes get blurry, my body does not have the strength to walk, and my steps become very weak and shaky,” Abedini wrote to his family. “He has internal bleeding, he’s suffering, and every day in that prison is a death sentence for him,” Negmeh tearfully told the panel Friday. Members of the U.S. State Department had been invited to the hearing, but none were present. Some of the Congressmen at the hearing agreed. “This does represent, in my opinion, a colossal failure of leadership for the Obama administration,” stated Democratic Representative Adam Smith of Washington. As result, Negmeh Abedini and her attorney, Jordan Sekulow of the the American Center for Law and Justice, met with the State Department Friday afternoon and delivered the same impassioned plea. Representative Frank Wolf of Virginia, co-chair of the Committee, vowed to keep fighting. “The Commission will stay with this thing until the release takes place,” he said.